Cops are warning cab drivers in the Loop about a thief who is posing as a customer to steal their property. 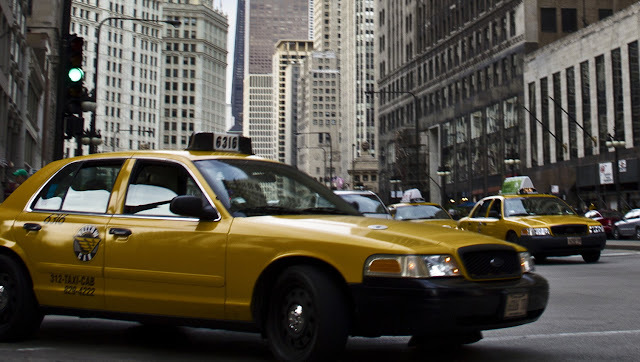 In a community alert issued late Wednesday, detectives said three cabbies have been victimized since mid-December by a man who flagged them down near Wacker Drive. Once inside the cab, the thief tells the driver that his cell phone has fallen under the driver’s seat and he asks the cabbie to help him retrieve the phone. While the driver stops the cab and gets out to search for the phone, the offender takes the victim’s property and runs away, police said. Incidents have been reported in the 200 block of North Michigan Avenue at 10:40 a.m. on Dec. 13th; the first block of East Wacker Drive at 10:30 a.m. on Jan. 2nd; and the 200 block of West Wacker Drive at 11:50 a.m. on Jan. 7th. The offender is described as a black man in his early- to mid-20s with short hair who stands 5’5” to 6-feet tall and weighs 145 to 170 pounds. Anyone with information about these incidents may contact Area Central detectives at 312-747-8384 regarding pattern P19-1-021.